^Well the C of E did not stop people from skating on it before 2012-2013, and when they put the signs up it was because of thin ice in places where they did not expect them. the city also hasn't given me a ticket for doing 10 over the speed limit in an area where I've sped for the past few years because it's basically vacant and I find it perfectly safe. Doesn't mean it's allowed though. ^Did you actually read the whole Edmonton Journal article on the web-site provided in my post #297 and not just the paragraphs I supplied?. The guy who build the rink got his info from a C of E website saying it was O. K for him to build the rink. The C of E then found out that there were weak spots around the edge of the ice and decided to stop people from making rinks on it until a study was done. The C of E did not update it's website so the guy thought it was O.K. to do this. It had nothing to do with environmental issues. Please try to keep up. I did read it. Regardless of ALL of the weak spot/closure stuff, he stil should have known it was an ecological preserve. I completely understand the argument that the city failed to update their own info. That's the only reason I'd be in favour of the ticket being cancelled. Technically they banned skating on stormwater ponds three years ago when they found that the weak spots were more numerous than they were before, and they stopped measuring ice thickness. This did not all occur recently. The only thing that happened recently was some guy jumped a fence, built a rink, got reported, and went to the media. Sidenote: I find your 'try to keep up' comment pretty condescending, and would appreciate the conversation sticking to the facts. Last edited by Alex.L; 08-01-2016 at 10:26 AM. ^Well as long as you stick with the facts in regards to this matter. Which is the C of E did not stop skating on storm water ponds because of ecology issues, they stopped it in this case because of safety issues. They stopped it on stormwater ponds in all cases 3 years ago. They stopped it in this case when they designated Klarvatten Wetland for ecological reasons. They ticketed the rink builder for safety reasons,but easily could have/should have fined him more for disturbing the off-limits wetland. Either way, this guy should not have been building a rink. The city failed in updating the website, and that is why this ticket should slide. ^Can you supply the source where they specifically stopped rinks being built on Poplar Lake (Klarvatten Wetlands) for ecological reasons only. Reason I am asking is that it was fine up until 3 years ago so what changed in the ecological world since then. Any human intervention is prohibited. It wasn't fine up until 3 years ago. It just wasn't enforced, apparently. X-country at Victoria this weekend, gorgeous Sunday and absolutely packed. i think it might be more accurate to say "more human intervention is prohibited" as we learn that our ongoing intervention is responsible for much of the current life safety concerns. it's also worth noting that those concerns extend to our man-made ponds as well as the natural water bodies like poplar lake that we have chosen to utilize in the same fashion. "Laskosky said she thinks the holes are being caused by complicated flow patterns between the 160 interconnected ponds. She didn’t see the same issues when there were only 25 ponds two decades ago. "Mark Loewen, the civil engineering professor leading the research project, said preliminary results indicate road salt is also causing some of the issues. His students studied four ponds for two winters, taking photos every 15 minutes and monitoring ice thickness both manually and with ground-penetrating radar. "Loewen said ice tends to be thinner near the inlets. Each pond typically has three or four of the inlets submerged about 20 metres off shore, where local residents wouldn’t see or necessarily expect them. Every time Edmonton gets a warm spell, salty run-off from surrounding roads and parks enters the ponds through these submerged pipes and weakens the ice above. The low freezing temperature of salt water accentuates that process." The Alberta Conservation Association is warning anglers of the potential legal ramifications of drilling holes on a frozen lake and casting a line during Alberta's long winter months. "The likelihood of being charged is very low, but the severity of being charged is very high. If you do get charged, then manslaughter is the likely result," said ACA President Todd Zimmerling. For years ACA members have aerated Alberta's shallow lakes — systematically drilling holes in the ice to keep fish alive over winter -— but have scaled back the program after a warning from their lawyers. Zimmerling says the agency could be held liable too, even charged with manslaughter, if someone were to accidentally fall through ice on a lake that is being aerated. "It raised a lot of flags for us," Zimmerling said. "No one has been charged with relation to holes in ice, but people have been charged in relation to holes in the ground. So excavation (and aeration are) under the same section of the code. And that's really been the issue. "That's a lot to risk for anybody." Zimmerling thought posting signs warning of the potential dangers of drilling was enough to ensure their due diligence under the law, but they have been told otherwise. That is more accurate. You are correct. not that i'm happy to be in this instance... it likely means we are destroying a natural body of water by treating it as just another a storm water pond even if we prohibit adjacent surface access. 3rd annual winter drink competition, enter now! One has to wonder that if salt is causing these unusual thin ice spots that this same salt can be causing plant death around the edges of these lakes and messing with the water ph balance of what is probably should be a salt free lake. Now, is the C of E going to stop putting salt on the roads?. ^ Ideally the City would stop putting salt on the roads. It is extremely bad for the environment. So bad that highway maintenance sites that store the mixture around the province are considered brownfields worse than the average gas station. Road salt destroys aquatic ecosystems, ruins soil quality, pollutes aquifers, and causes the death of both flora and fauna. Unfortunately we don't have a great alternative right now. HaHa, started to enforce it about 3 years ago. My, that was the same year the Winter Strategy came about. Were the Eco Warriors on your trail? Enjoy the crisp air and the sound of snow crunching under your boots as part of Alberta’s Winter Walk Day! Councillor Bev Esslinger will start the walk by bringing greetings from the City. Walk Edmonton, Winter Cities Edmonton and Be Fit For Life will lead participants on a 45-minute walk. The first 100 walkers to arrive will receive free giveaways. Hot chocolate will be available for all participants. Winter Walk Day is a province-wide initiative to get Albertans up and moving during the winter months. Every year on the first Wednesday of February, almost a hundred thousand Albertans step outside to celebrate winter while promoting the year-round health benefits of walking. Can’t make it to City Hall? Forge your own path with a walk outside your home, school, workplace or favourite pedestrian-friendly area. Share photos via Facebook and Twitter using the hashtags #WinterWalkDay and #yeg to show Canada how Edmonton embraces winter. The warm weather has melted away the Edmonton Ice Castles ahead of schedule. Organizers had hoped to stay open until March, but an unseasonably warm stretch of February has meant an early closure. The final day for the attraction at Hawrelak Park is Monday, February 22. However, for people who were planning on going before it closed, tickets for the popular exhibit are already sold out. This was the first year the ice castle exhibit had been built Canada. ^Unfortunate for them... but I will take an early warm spring over some mediocre exhibit any day. It’s the Mac’s annual push-off winter event, held outside on the patio and garden area, complete with open fire pits and cozy snacks including the Mac’s signature truffle oil popcorn. Held on Saturday, April 2, the Fire and Ice Farewell to Winter celebration runs from 6 p.m. to 11 p.m., with the bulk of the reception-style food served between 7 p.m. and 9 p.m. For hockey fans (and isn’t that everybody?) a big screen will project the Battle of Alberta hockey game outside. Tickets are available through Eventbrite and cost $35, plus tax, tip and service charge. It’s an outdoor event (with no access to the Confederation Lounge), and goes regardless of the weather, so dress accordingly. Fire and Ice is family-friendly, so children are welcome, but you’ll have to show ID to purchase a drink. If you have questions about this event, call the catering department at the Mac at 780-429-6416. The hotel is at 10065 100 St. Attraction was super popular last year, but closed early due to warm weather. The hugely popular Edmonton Ice Castle was built in Hawrelak Park last year. Chill, Edmonton: the Ice Castle is coming back for another season. The Utah-based Ice Castles company will once again be journeying north to construct a massive ice palace in Hawrelak Park. They said last year they had an “incredible reception” in their first trip to Edmonton. The structure involved 20 to 30 thousand tons of ice and took two months to construct. It drew huge crowds who wandered through the throne room, by the waterfall and through the ice maze. Because of unseasonably warm weather it ended up closing in February — a month earlier than anticipated. But according to a press relase, they’re hoping to stay open the full season this year. Construction will begin in November, and the ice doors are expected to open in late December. The city announced Monday that a slightly bigger ice path will be back in Victoria Park this winter, but under a different name: the IceWay. The reason? Depends on who you ask. City spokesperson Gayleen Froese says some people last year associated the name with Gibbs’ original proposal, a network of skating paths through downtown. “People were confused because they heard about the Freezeway initially as this skate-to-work concept and this is a different application of this idea, so we thought it’d be better to go with a different name and people will be clearer,” Froese said. But Gibbs said the city treated him “appallingly” for months by not answering his emails and using his artwork without credit. Then, he said, they told him his help wouldn’t be needed this year. Given that anyone who wants to pursue most landscape/architecture design fields in school is required to leave Edmonton, the city should not be pulling these kinds of stunts with designers who are willing to work with them. Many who leave for school do not tend to come back to Edmonton, and although some do, this type of press does not bode well. The city wants your ideas, but then thinks it knows better and doesn't want you involved. Reminds me of Perkins+Will working with the city on Blatchford, then parting ways. Roger Jevne, branch manager of community and recreation facilities for the city, disagrees. “The idea of a linear pathway isn’t unique, they exist in parks all over North America," he said. This one gave me a chuckle. If it isn't unique a idea and exists all over North America, why did they bring Gibbs on board in the first place, and why didn't the city implement this decades ago. Apparently a couple of fellas are building a "Freezeway" near Kenilworth community hall this year. A project being paid for by CoE and Kenilworth CL (a substantial sum if what I hear is correct). Perhaps they won't be allowed to call it that anymore. Love this blast from the near past. Upcoming MADE/Latitude exhibition on winter. Snow is a defining feature of the landscape in Alberta. In our northern climate, snow and the cold are often implicitly recognized conditions that shape our built environment: the form of buildings and their relationship to the sun; access and circulation in spite of or because of snow; the way snow interacts with a structure; and finally how a building’s envelope addresses the impact of cold, snow and ice. Too often, however, the design and presentation of architectural projects are shown in the limited time span of a verdant summer environment. Living with the cold and snow, conditions that encompass more than half of the year, requires a considered approach to thinking about about public space and the built environment. This exhibition will feature projects, both built and unbuilt, that demonstrate a deep understanding of the local climate and conditions. Celebrate winter. Create a winterscape. creative and adding colour and beauty to your front yard and your neighbourhood. Winterscape, or nominating someone else’s. A Winterscape can include: snow, ice, lights, landscaping, ornaments and winter-themed scenery. Individuals, families and teams can participate by building a Winterscape in the front yard of their home, community hall or school. Visit edmonton.ca/winterscapes to learn about the award categories and to nominate or enter a Winterscape for a chance to win prizes. At the end of the season, photos will be posted on the City of Edmonton’s Facebook page for voting. The Winterscape with the most votes in each category wins first prize. Entries and nominations will be accepted until February 19, 2017. No excuses not to enjoy our winter wonderland. Deep Freeze is on again today and tomorrow on Alberta Avenue. Not sure if anybody has mentioned it. Fireworks are tonight at 6pm. Can't make it out today but we're going to go tomorrow. Great weather out there. Embracing a Healthy Lifestyle – Karen Lee, Dr. Karen Lee Health + Built Environment + Social Determinants, and Robin Mazumder, University of Waterloo will explore all aspects of maintaining a healthy lifestyle during winter environments to ensure a vibrant community. Winter Design: Placemaking – Hazel Borys, Placemakers, LLC, and Jason Roberts, The Better Block Project will focus on how to adapt placemaking concepts in winter. This session will be relevant to all businesses as it explores the design and management of public spaces during winter. Microclimates – Harold Madi, Stantec will present on the importance of designing our cities for comfortable microclimates taking into consideration wind blocking and access to sunshine. Use of Lighting in Winter Cities - Darío Nuñez Salazar, Verkis Consulting Engineers, and Sabine De Schutter, Studio De Schutter will propose how cities can be illuminated to improve winter life and embrace the seasonal darkness. The Winter Cities Shake‐Up will also feature presentations on winter business and winter culture. Importantly – this isn’t a typical conference. There are field trips, a Winter Pecha Kucha Night & Winter Innovation and Culture Showcase, early morning workouts with the November Project, flying canoe races, and the Silver Skate festival in Hawrelak Park. For more information on the conference and registration, please visit us at www.wintercitiesconference.com. If you have any questions at all, please do not hesitate to contact us at [email protected] or by phone at 780‐436‐0983 ext. 234. We went to the Southeast winter fun festival on the weekend. What a great event. It was at kenilworth community hall. They had a freeze/skate way through the park, curling sheets, horse sleigh rides, bon fires with smores (free), cabane a sucre, live music, cross country ski, and a crap load of inside and outside supervised activities for the kids. All free. Very thorough and well organized. Didn't hurt that the weather was gorgeous. Challenge Sam Singh and I. We dare you. I know some of the festivals already have a bit of this, but I think a great way to get people out for a winter festival is to incorporate fire. I'm talking large scale fire installation, artistic pieces. Going every night for a week or so. There's several festivals in N America that already do this. I remember going to one in Paris that was really neat. A dozen pieces going at the same time, have a pathway between them all with firepits for sitting and relaxing, vendors with mulled wine, hot choc, bbqs, beaver tails, etc etc. Silverskate seems like the best fit for it as they already have one, but it seems more like a one time show than an ongoing art installation. areas of business, urban design, culture and wellness. But being a successful winter city is more than just talk. approach winters: we don’t just brave the cold, we thrive it in. “In a remarkably short time, the community has shifted their way of thinking and embraced this idea of being a proud winter city” says Councillor Henderson. “It’s not just people who have lived here for a while and are used to the cold, but newcomers and visitors are actively seeking out the incredible things to see and do here during this time”. To see the full program and register, visit wintercitiesconference.com. Full conference and single-day registration options available. Fatbiking in Winter so much fun. City officials are hoping this year’s WinterCity Shake-up conference will detail how to design cities to be warmer, healthier and more magical. They’re also signing up teams of four to race canoes down Gallagher hill — a race La Cite Francophone’s Daniel Cournoyer promises is both safe and comfortable. The Flying Canoe Volant festival, which runs this weekend out of La Cite Francophone, is adding the additional event to coincide with the Winter Cities Shake-up Conference, which runs Feb. 16-18, building on work from the first conference in 2015. Twenty speakers — and some attendees — from across Canada, Europe and Asia are lined up and conference officials said local residents are welcome, too. Experts will detail how to design effective sunny nooks that capture heat while keeping out the wind, how embracing winter in other countries has improved rates of depression, how to create a sense of place in winter from an urban design perspective, and a business case for supporting winter biking, said Sue Holdsworth, leading the winter city effort for the City of Edmonton. Derived from the Japanese phrase for “the sound of chit chat”, Pecha Kucha Nights are global, fun and informal gatherings where Edmontonians present innovative ideas in a fast-paced, concise and entertaining format. Let’s shake up winter together this Family Day weekend at the Shake-Up Festival! Fall in love with winter at two separate events that invite you to the toboggan hills and a Valentine’s Day disco skate and dance! Grab your sleds, slide down the hill and sip a free hot chocolate from WinterCity Edmonton! You'll find our hot chocolate crews at the following three toboggan hills every Sunday this month. We're making it easier to play outside in winter, so come on Edmonton, bundle up and get out in the snow. Time: 1 p.m. – 4:30 p.m., or until the hot chocolate runs out. Skate or dance around the City Hall rink with your special someone this Valentine's Day. WinterCity Edmonton invites you to our wintry love fest where you can roast bannock over an open fire, enjoy a cup of hot chocolate, or play a giant game of checkers. Free skate and helmet rentals will be available on a first come first served basis. Events may be cancelled due to severe weather, poor ice conditions or lack of attendance at the toboggan hill. Call 311 for the most up-to-date event information. Media are invited to the 2017 Winter Cities Shake-Up, an international conference shaking up preconceptions of winter. Join leaders and innovators from 40 winter cities around the globe as they share out-of-the-box approaches to urban winter living in the areas of culture, design and business. A comedy stage show made popular by the hit CBC Radio One program. This edition tackles the question: is winter really is the coolest season? If we design our cities better, will we be happier? Find full program schedule and more story ideas at wintercitiesconference.com. Come watch us kick some snow! Come take part in this “Canadian Triathlon”. All delegates are welcome to watch the race, which consists of racing a canoe down a ski hill, a two person bucksaw, and axe throwing. The top four teams will move on to the final and the fastest team will be Flying Canoe Races champions! There will be a shuttle bus circulating between the Shaw Conference Centre, Hawrelak Park and the Edmonton Ski Club. Date/Time: Thursday, February 16, 2017 | Doors open at 6:00pm; presentations begin at 7:00pm. Come browse new technologies, practices, activities, music, art, fashion and food that contribute to thriving winter cities, winter living and economy. The showcase will feature interactive display from over 20 companies and organizations that are dedicated to making winter life more enjoyable. Edmonton's NextGen is excited to present Pecha Kucha Night 27—an evening of winter celebration! Ten exciting presentations that embrace the chill in our winter city are up on the docket. Make sure to come early to check out the Innovation Showcase! Local organizations, Blitz Conditioning and Revolution Cycle, will take you on a guided tour of our beautiful downtown. Yes, there will be snow, and it might get a bit chilly. Fear not, we will provide you with some hot chocolate to warm you up to start the ride, and dinner at the Blue Plate Diner on 104 street, family style! If you don’t have a bike, that’s okay! We have 15 bikes that you can borrow, the rest will need to bring their own bike! 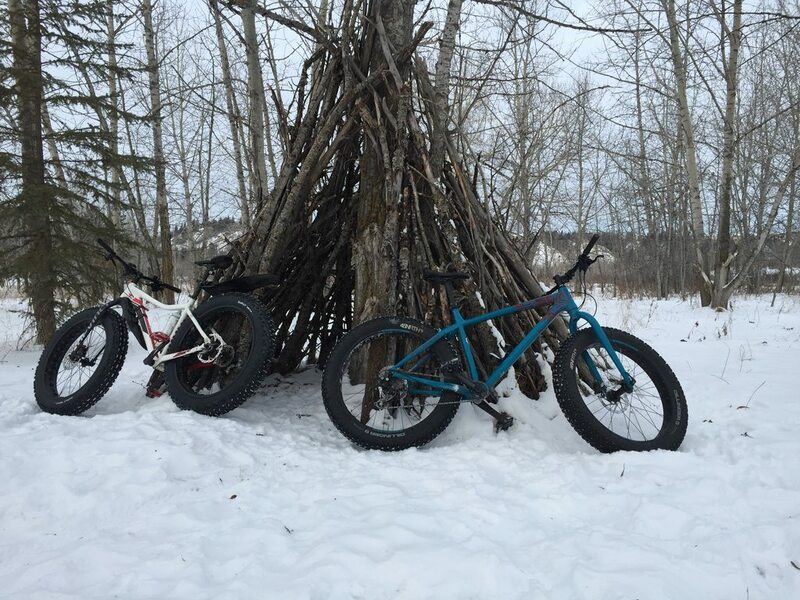 First come, first serve on our Fat Bikes (through the registration form). Great first day of the Winter Cities Shake-up and today looks to follow that up. Shame about the weather though as it has impacted some of the events/activities. Hope to see you all at the Edmonton Ski Club tonight for the canoe races, ESC patio bar and live music! Indeed. Plant the seeds, nurture them, voila! Great to see some of this work paying off. Only 3 reasons and one of them is WEM? How much work did this take? It's not even a Listicle. Featuring enormous animated lanterns hand-made by the community, GLOW is an illuminated night parade weaving through the neighbourhoods of Boyle Street, Quarters, and Downtown. Your participation is welcome! We'll even provide you something GLOW-y to carry! GLOW’S theme for 2018 is Migration, inspired by the wild flora and fauna observable within our local communities and landscapes. 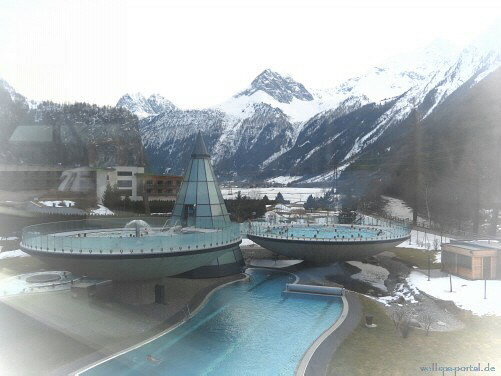 I'm personally a big fan of the thermal baths idea for the river valley. That would be fantastic. Just in Banff taking a break amongst a bunch of family activities. Banff has done a great job putting together Christmas events and marketing them. Edmonton has many great events but no central area to find them all. Does anyone know why the pond at Hawrelak Park is closed to skating? City website says "closed until safe" yet there's large swaths that have been cleared of snow by (presumably) relatively heavy equipment. With some imagination I’m sure something great could be designed. Last edited by KC; 12-01-2019 at 01:52 PM. Cooling ponds at the refinery???? Shout out to Deep Freeze festival which is going on this weekend. This board is so disconnected from any activity that would be known as "Connecting2Edmonton"
The bonus this year is that nobody is freezing. Great temps to take advantage of the outdoors. Would love it if on the night of January 7th the lights at the Legislature turned from Christmas colours to beautiful warm white lights to keep attracting people to the grounds all throughout the winter season. We went to it last night. Great time! I'm glad it was a success. Lots of volunteers work very hard, to make it so. If we lived closer, we'd of popped in. The weather was perfect, especially today. We just walked with our dogs, and it was beautiful.